The Oklahoma City Thunder is proud to host the Oklahoma Basketball Coaches Association (OBCA) Fall Clinic on Saturday, Sept. 21, from 8:30 a.m. to 4:30 p.m. We hope you’ll join us for this event at the Chesapeake Energy Arena for an opportunity to learn first-rate tactics and strategies to develop and advance your team from the Thunder coaching staff, as well as other great keynote speakers from around the country. Topics of discussion will include offensive drills, defensive strategies and player development, and the clinic will feature more on-court demonstration than ever before. 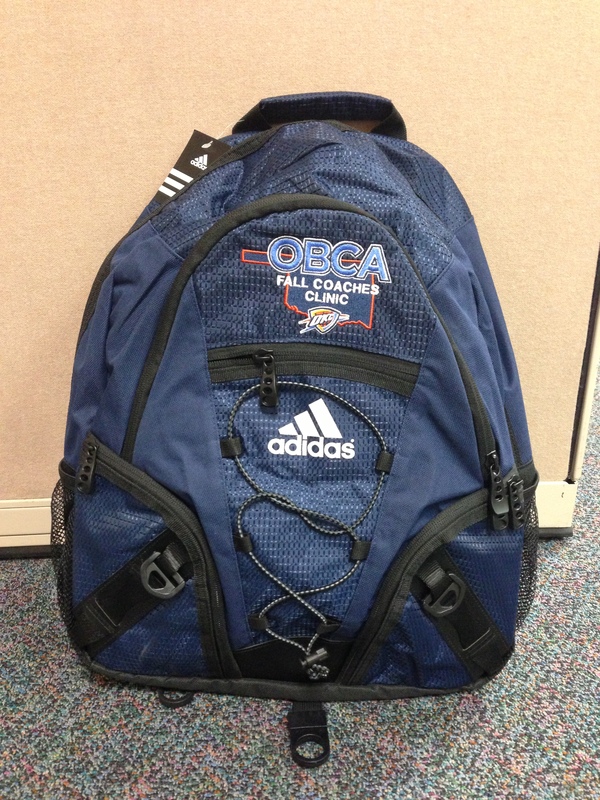 Lunch will be provided; upon arrival, you will receive a complimentary Thunder/OBCA embroidered adidas backpack for your enjoyment. We hope to see you on September 21! This entry was posted on September 9, 2013 at 1:34 am and is filed under COACHES CORNER, NEWS, Uncategorized. You can follow any responses to this entry through the RSS 2.0 feed. Responses are currently closed, but you can trackback from your own site.